PLANO, TX--(Marketwire - February 3, 2010) - With Valentine's Day just around the corner, enhance your love life with an even more attractive Lovpil™. Ralph Oats and Wellness International Network introduce a dynamic, new design for Lovpil™, a natural supplement that may improve sexual vitality and libido. "After the birth of my two children and my post partum, my libido was non-existent and I was afraid I'd never get my drive back. Thanks to Lovpil™, I got it back!" shares a consumer from Texas. "After just a few days, I was working away and all of a sudden I thought of something I hadn't thought of in months -- 'My husband and I should have a date tonight.' It ended up being a date weekend! Ha! My husband and I are grateful to my doctor. I will be reordering Lovpil™!" "Since I've started recommending products like Lovpil™ from Wellness International Network, I'm not only giving my patients better care, I'm touching and changing people's lives," shares Dr. Fein, an OB/GYN specialist from Texas. "These products, especially Lovpil™, really change lives." Stress, low energy and everyday challenges can affect your sexual drive, energy and enjoyment. Make every day the most romantic day of the year; improve your overall quality of life as well as your love life with Lovpil™, a natural formula proven to help those areas connected with sexual function. Wellness International Network, an undisputed nutritional leader known for its top-selling weight management line, the BioLean® System, and anti-aging supplement WIN CoQ10™, has updated several of its bestselling products, including BioLean®, BioLean Free®, Sure2Endure™, Sleep-Tite™ and Mass Appeal™. A privately held company specializing in health and nutritional products, Wellness International Network, Ltd. is headquartered in Plano, Texas, with its European affiliate, WIN Worldwide BV, located in Hoofddorp, Holland. Its South African affiliate, Wellness International Network S.A. (Pty) Limited, is located in Johannesburg, South Africa, and WIN Worldwide Mexico S. de R.L. de C.V. is located in Nuevo León, México. Founded in 1992 by Ralph Oats and his wife, Cathy, WIN operates in many countries throughout North America, Europe and Africa, and is far and away the forefront leader in global network marketing. Management Team 500 Magazine recently selected Wellness International Network as a Top 500 company. WIN's complete nutritional line has been listed in the Physicians' Desk Reference® (PDR®) for Nonprescription Drugs and Dietary Supplements, the authoritative reference for health care professionals for decades. In the Netherlands, WIN's products are listed in the Z-Index, a database of products associated with the public pharmacy, used by doctors, pharmacists, businesses and government. Serious athletes are delighted to learn that WIN Worldwide BV participates in the Netherlands Security System Nutritional Supplements Top Elite Sports [NZVT] system; for additional information click here. Learn more about why "It Pays to Live Well" at winltd.com. 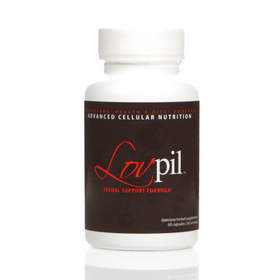 Just in time for Valentine's Day, Wellness International Network introduces an attractive, new look for Lovpil, a natural supplement that may improve sexual vitality and libido.